If there is one thing that I have learned during my time in college (graduate and undergraduate), it is that a versatility in different kinds of involvement (volunteer and paid) is important. Versatility of involvement increases your interaction with various types of individuals, improves networking skills, and helps you learn your strengths, weaknesses, and goals. I would have never caught the research bug and decided to get my Master’s degree if one of my undergraduate professor had not suggested I join his research team. As an undergraduate, I was extremely involved in campus life (school, research, sports, sorority, tutoring, working, volunteering, etc.). However, during my first several days on campus as a graduate student at WMU, I felt lost. While I was involved in my department (I held a teaching assistantship and was a member of our graduate RSO), I felt disconnected from the rest of campus. Therefore, I decided to try to extend my departmental activities to campus-wide activities, and get as involved as possible. One of the first things that I got involved in outside of my department was the WMU Teaching Assistants Union. Every several years, the teaching assistants have to negotiate their contracts with the University and I had the opportunity to be a part of the bargaining process. It was very interesting to sit in on the bargaining meetings to support the Union and witness the debate. While times were tense, the Union negotiated some of their main bargaining points. They are always fighting for equity on campus, and often hold rallies to gain awareness for their cause(s). I would have never appreciated all of the Union’s hard work, unless I had seen this process first hand. Another experience I had outside of my department was attending meetings of the Graduate Student Advisory Committee (GSAC). Part of our graduate tuition (Student Assessment Fee) goes to this committee, and they work hard to make sure the graduate students have a voice on campus and their concerns are being met. This was a great way to socialize with graduate students from various departments and backgrounds (TA and non-TA, Master and Ph.D.). I was also able to interact with staff from the Graduate College, including Dean Stapleton! I could have never imagined making so many friends, and learning from them and their research. After all, everyone has the same goal (graduation!) and working together makes dealing with the stresses of graduate school easier and more fun. As stated before, I was also involved heavily in my department’s graduate RSO (Anthropology Graduate Collective). My first year I served as representative to faculty meetings, where I attended departmental meetings and was a voice for our graduate students. This was a great way for me to get to know the faculty within my department and, more importantly, for them to get to know me. My second year, I served as president of our RSO. This was a great experience, planning and taking charge of our organization to improve its goals and programming to benefit students in future years. This year, I serve as treasurer, and it has been quite an experience, as we are trying to plan a conference and obtain funding from GFAC. Being involved in my department’s graduate RSO has made me extremely close with the other graduate students, faculty, and staff in my department. These are lifelong friendships and networks that I am so glad to have created. I would have never been able to have all of these great experiences at WMU if I had not tried to get involved outside of my department. 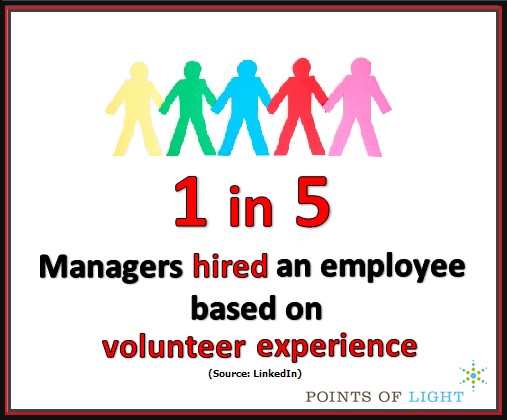 While it is not required, variety in experience can help you toward both professional and personal life goals, making you a better job candidate and a more well-rounded and knowledgeable person. As a graduate student, I know there is always something to do and never enough hours in the day. I also know it seems crazy to suggest getting more involved, but you will never succeed if you do not try. Our years in graduate school can be some of the best times of our lives… do not let them pass you by!! !